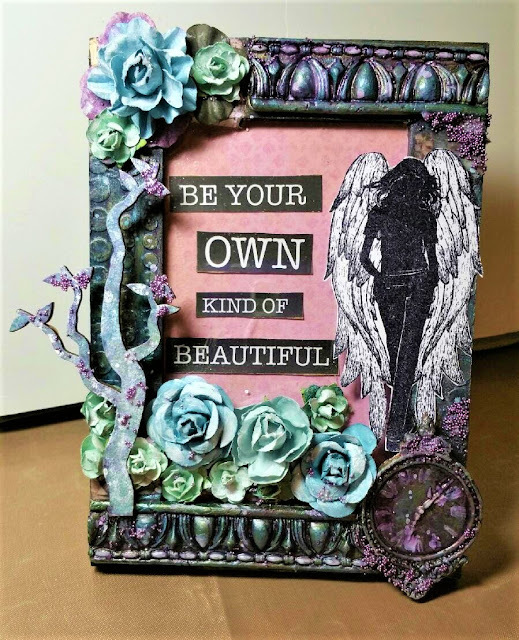 Today I am going to show you how to make this lovely framed project using Sin City Stamps! 1. Stamp your image onto heavy cardstock and emboss with embossing powder and heat. 2.Choose a patterned paper and cut to fit in your frame. 3.Adhere your quote or picture to the patterned cardstock. 4. 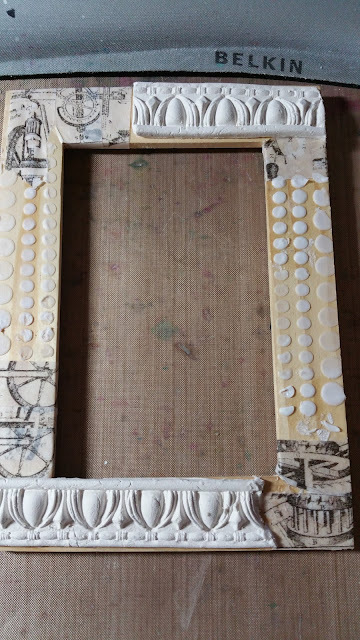 Apply texture paste through a stencil on the sides. 5. Adhere your molded paper clay pieces. 6. I added some tissue tape to any blank spaces for a little extra fun, but this doesn't really show in the end so it is optional. 7. 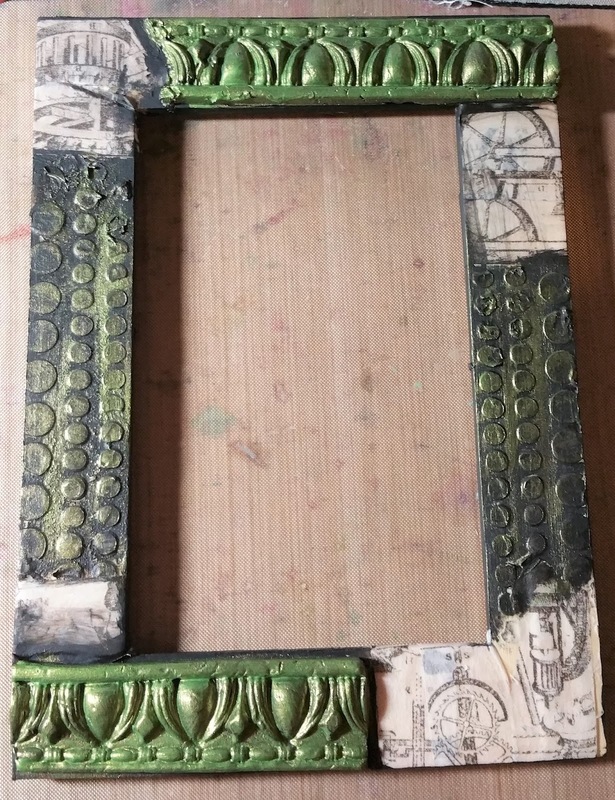 Cover the molded pieces and textured areas with black gesso. 8. Using a metallic paint , (I used green here) paint over the black areas. For the stenciled areas brush lightly. 9. Using another color in a metallic (turquoise was used here) lightly brush over the green areas. 10.Continue adding colors of your choice by lightly dry brushing onto the last until you achieve the color effect you like. This was my result after adding a bit of black, purple,bronze, and more of the previous colors. All that's left to do now is add your tree or other embellishment, florals, and the stamped image! 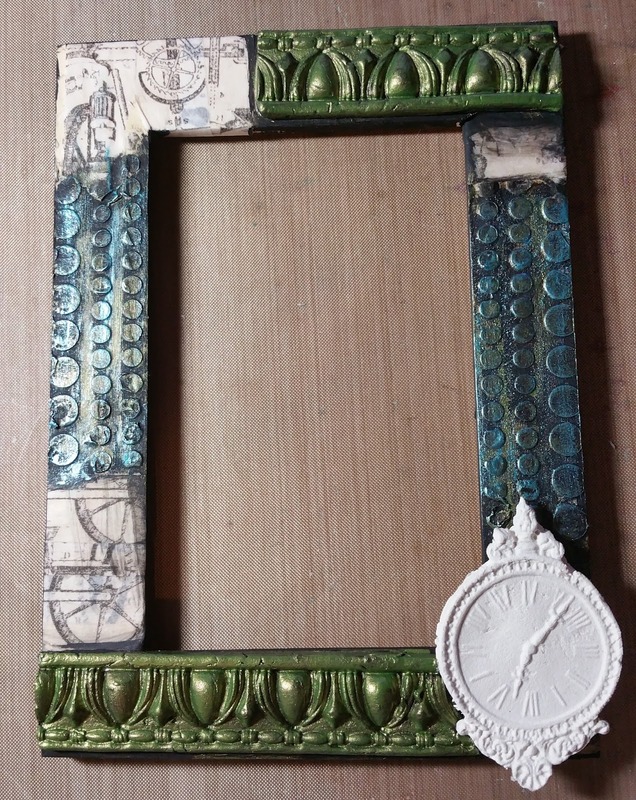 Place your quote of choice in the frame or you could even put a picture in if you prefer! I hope you are inspired by my project today and are ready to get creative!! Remember to head over to Sin City Stamps and get your own beautiful stamps to create with and please visit our Fan Page. There are endless possibilities awaiting you! 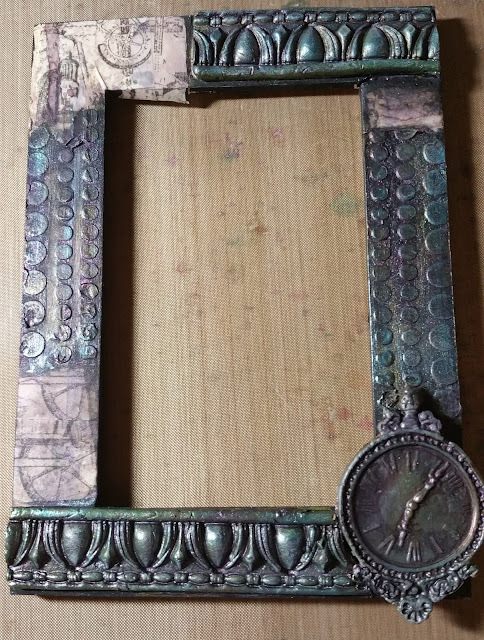 Wow - a LOVELY frame with a vintage flair. The textures and papers have the look of ancient columns. And then... a bit of shabby chic (love that branch/flowers) and a more modern angel... it just seems like your project is the perfect example of the sentiment. This is YOUR OWN KIND OF BEAUTIFUL creativity!! Xj. This is a really stunning creation!